Flooding leads to extreme water damage. Cleaning up the aftermath of a flood is expensive, time consuming, and potentially heartbreaking. Flood risk is a major area of concern for homeowners. A flood renders a lot of furniture and possessions unusable. 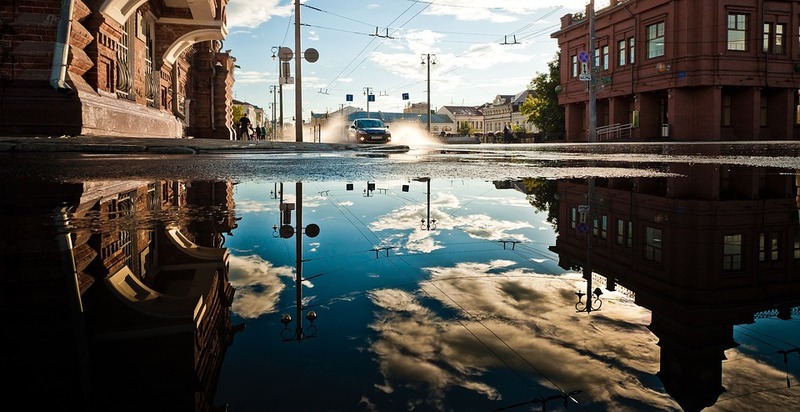 For anyone looking to decrease the risk of a flood through their home, there are a few things that you can do in order to stay ahead of mother nature. Yes, believe it or not. It can be possible to change the elevation of your home. If your home is a good candidate for this, be prepared to shell out quite a bit of cash. If you don’t live in an area with a lot of floods, this could potentially take a backseat to some of the other options on this list. There are also many reasons that a home wouldn’t qualify, such as unusual construction or architecture. Still, if you’re serious about decreasing your flood risk this is something you should look into. If your property borders a body of water that could overflow, such as a river, pond, or lake you should make sure that any retaining walls are well cared for. Consist maintenance is key to the health of your walls. Sometimes it’s obvious when a wall is about to buckle, but often the signs are subtle until the wall is in crisis. The summer months (when the water is lowest) is the best time to get your wall inspected. One way to decrease the risk of flooding is to create artificial run off points. A mild dip dug around your house on the flooding side (if your home borders a body of water or is at the foot of a hill, or somewhere else water naturally collects) would help water find its way around your home. A landscaping company should be able to do what you ask, but you may need to contact other professionals like an assessor to find out exactly where to put your trenches. Professional application is the best way to apply waterproofing to your lower levels, but this can also be a DIY solution for a very experienced handyman. Waterproofing will help prevent water from soaking through the walls of your house. It will also help things like basement windows to stay watertight. Additionally, you can remodel your home with floors in mind. Garage doors, lower level windows, and outside siding can all use water resistant material that will help protect your home from water entering from the outside. If you live in an area where you can reasonably expect flooding, consider all of the above. Also considering preempting the possibility of a flood by getting your supplies ready today. Sandbags can be stored, premade, in a clean and dry environment so you can break them out whenever the rains get too heavy. Emergency tarps and pumps can also be kept nearby for safe access. There’s little you can do to move your flood risk down to nothing. There’s a lot you can do to mitigate or control your risk, however. Taking these steps today will help ensure that if weather does get extreme or a body of water does overflow, your home will be ready to weather the storm with minimal damage.